Got 2 or 3 brown bananas? 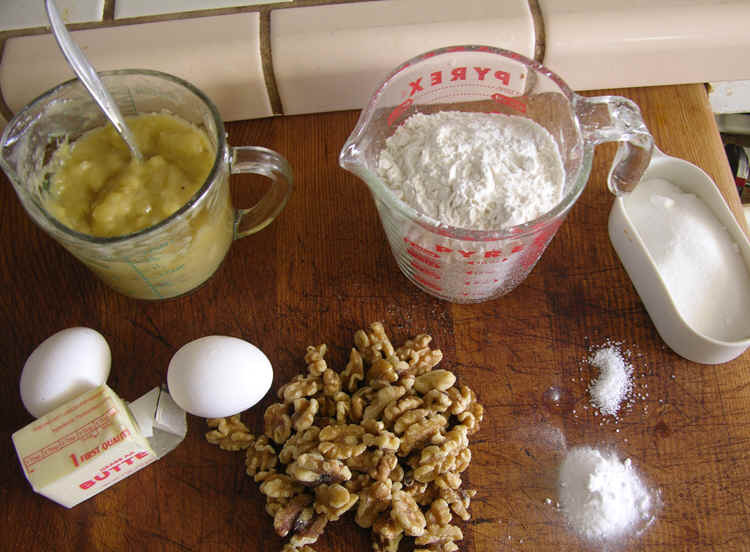 Time to make banana bread. 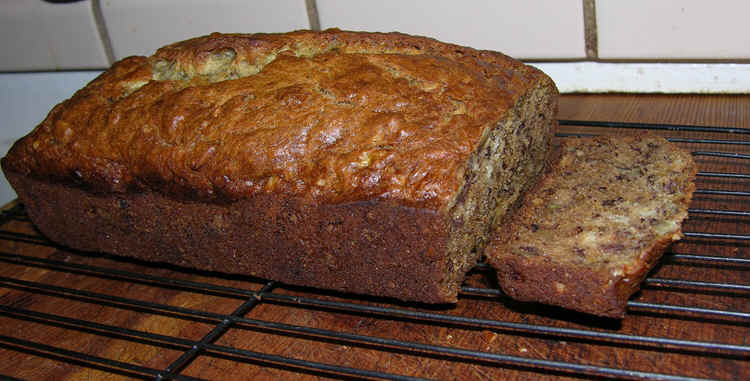 This is my grandmother's recipe for banana bread (modified only in exchanging butter for shortening). Bring the butter to room temperature. Blend butter, salt, and sugar together. 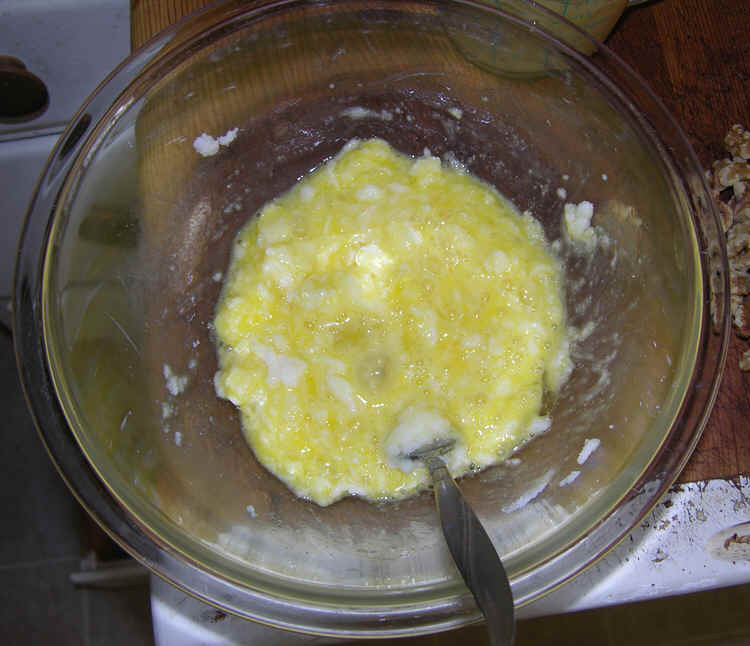 Mix in the eggs. 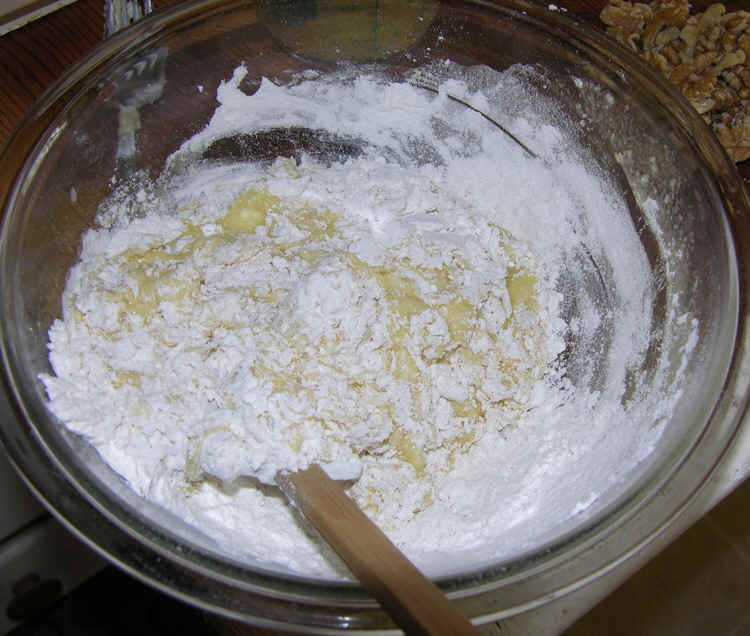 Add flour, baking soda and baking powder onto the wet ingredients by briefly folding them in. It is not good to excessively stir in the dry ingredient because it is said to stretch the gluten in the flour and to toughen the bread. 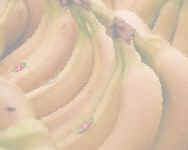 Fold in mashed bananas and the shopped nuts. 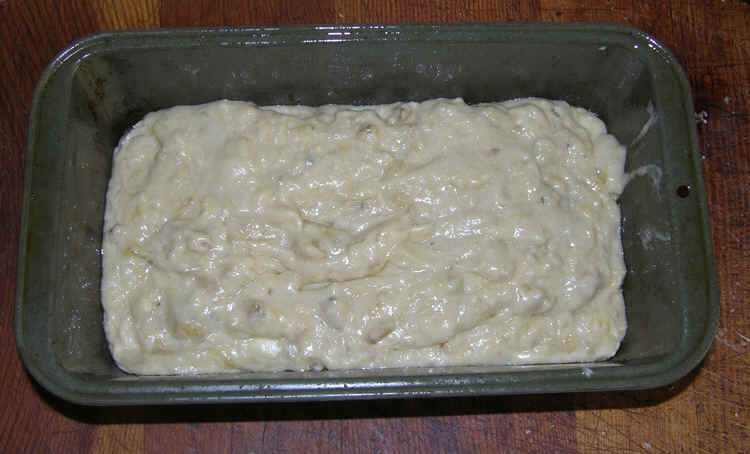 Pour the mixed banana bread dough into a buttered (or Pam sprayed) 9x5 bread pan. Bake at 350F for 55 minutes, or until a center inserted toothpick comes out clean. Cool at least 15 minutes before cutting slices.